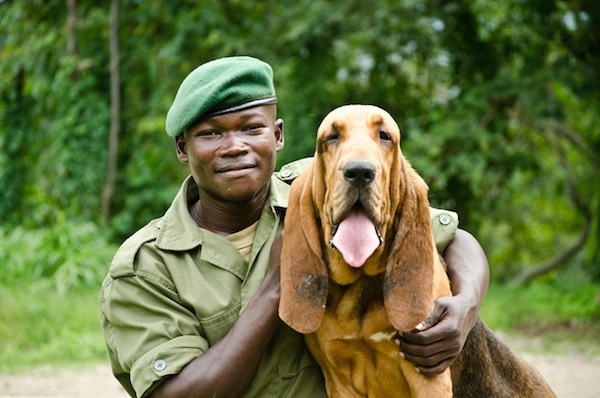 Tonight I came across the Congohounds, a project based in DR Congo's Virunga National Park. 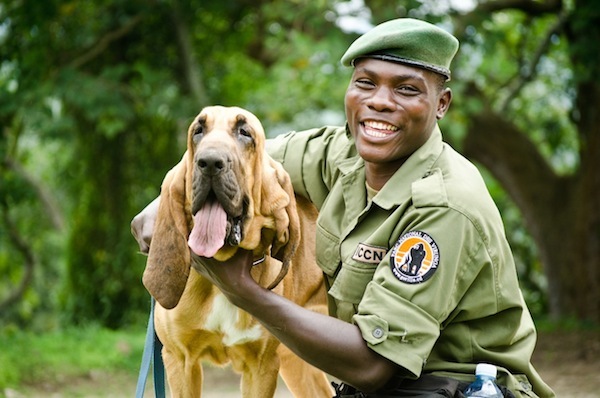 These beautiful bloodhounds are being trained to help sniff out human activity in the park; they'll help prevent gorilla poaching, as well as locate critically injured park rangers (at least 11 of whom have been killed in 2011 alone). When I last checked, the project had raised 0% of its $7,428 goal. (Edit: A closer look reveals they have raised closer to 12% of their goal, but the donation thermometer is malfunctioning). I was lucky enough to visit the mountain gorillas (on the Rwandan side of Volcanoes National Park) this summer, and I was so moved by the relationship between the gorillas and the guides, many of whom are former poachers. 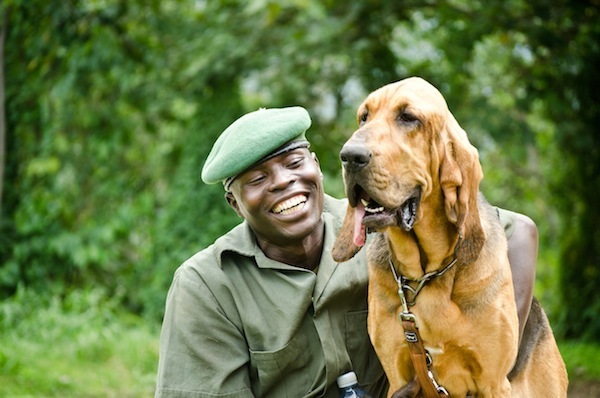 Watching this video of Christian, a park ranger, and Sabrina, a bloodhound, I thought about the pure joy that animals can bring to our lives. This project aims to protect rangers' and gorillas' lives, provide meaningful employment, and help to invigorate Congo's tourism industry. All good and noble goals, but maybe you just want to give because you can't resist those sweet droopy bloodhound faces, or the light in their human partners' eyes. Are you trying to kill me with this post?!? Aaaaah! It actually did occur to me, while uploading the third dog & ranger duo (Joseph & Stella): Will Preets be able to handle this? As a less emotional aside, I didn't know bloodhounds were so huge! I guess I've never seen one in real life. They are so huge and so beautiful. Those faces. Those wrinkles. They look beyond wise, they look magical, like creatures from another dimension. Oh man, it's a good thing I looked at this post alone, on a Sunday, in my office with plenty of tissues.